I want to stab this attitude and phrase into oblivion. I’m being ridiculous in my headline, because I’m pretty pissed off. Still. Only in 2014 can you try to do something good and be slammed for it. Give me a few minutes to share my tale of woe and shame and how they are besmirching good people, especially librarians. 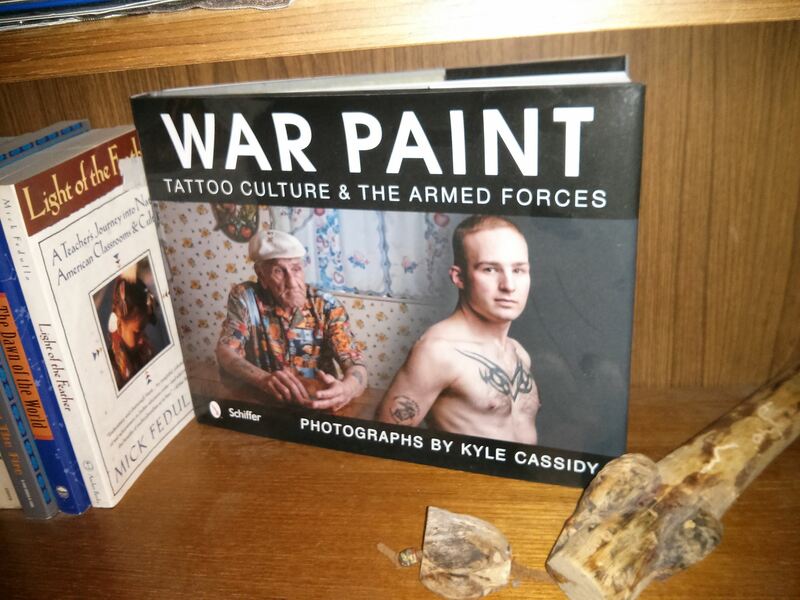 One of my favorite photographers (War Paint: Tattoo Culture and the Armed Forces holds prominence on my book shelf and in my heart) and internet personalities (if you don’t know about his sports-related injury, you’re missing out), Kyle Cassidy, had a great photo spread in Slate’s This is What A Librarian Looks Like. Another of Kyle Cassidy’s great works that get people talking. Yes, that’s a Tribal Talking Stick sitting next to it on my bookshelf. Cassidy’s story about the importance of libraries and the people who work in them – primarily librarians – mirrors my own story. Growing up in Detroit, the library was my refuge. It’s where I would endure tromping through three-feet of snow to go to, and when the world ticked me off, I could sit among the stacks and read and dream and be safe. Always welcoming, the librarians would share new finds they thought I would enjoy, they’d help me pour through the card catalogs for that one article or book on whatever research I was doing – spiders, guns, drugs (even then my writing tended toward the dark) – they were always there for me. When I finally was able to drive my own car and go somewhere? The first place I went was the library. I know other teens went to the drive-in or the tastee-freeze, me, the budding bibliophile and writer went to where there were books full of stories, knowledge, and welcoming people. Therefore, an article like the one where Cassidy’s photos were featured, which highlighted the importance of libraries in our culture and the people behind them – made even more important in the digital age of the nearly incalculable reach of electronic information systems and social media – was exciting for me to see. It made me smile. It made me nod. It made me know that others know the importance of libraries and the people who study the science behind running them. That we need to question what we think we know and investigate it on our own. That there was a diverse collection of portraits included in the piece made me cheer outwardly. One of the librarians from my youth wore these really kooky brooches every single day; the other memorable librarian – the teen librarian (a very progressive thing at the time), daily donned very iconic eyeglasses. Even during the more restrictive 70s and early 80s, the strong personalities of my local library’s librarians showed through. Cassidy’s piece, from my perspective, mirrored that image I had in my head: strong individuals, knowledgeable, and very passionate. But, then, the unexpected happened, when people got sight/read the article. The ugly internet and its culture of Ur Doin It Rong (cue the twitch in my inner grammar Führer) blasted the electronic pathways with a vitriol many might not have expected. Well, unless you have come to be trained over the last decades that the level of acceptance in the internet culture is nonexistence, that people can’t have a discussion or a conversation in a civil manner. It’s all, my way or the highway. Like much of Cassidy’s work, as any artist’s work is often, This Is What A Librarian Looks Like was meant as a conversation starter. 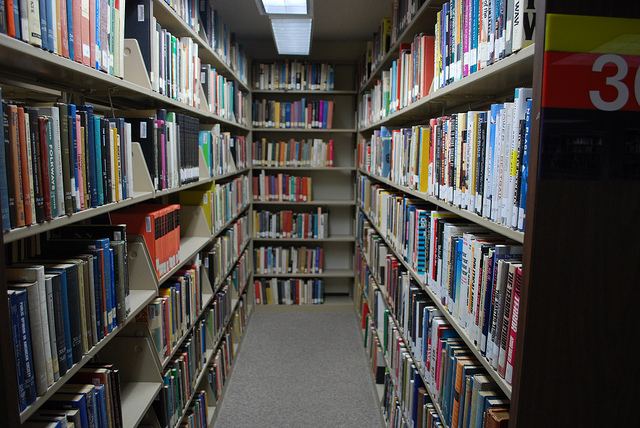 His photos and the Slate blogger, Jordan G. Teicher, were bringing forth the good of libraries and its librarians. How they work for every possible type of person, how inclusive they are. The most distressing part of the response, for me, came from other librarians. This part I could not understand, since I’ve yet to meet a librarian that wasn’t one of the most patient, think-good-about-humanity, and positive individuals in the room. I guess I was wrong, too. Libraries tie a community together. They allow for the sharing of knowledge. They are the one public place where no matter your background, your gender, your economic status, your creed, or religion, you are welcome. The article, bless its beaten-on-the-internet heart, brought that forward, too. Many of the librarians featured via their portraits said that, too, “We are the great equalizer.” Here in Western Washington and many other places across the United States, it was the librarians that resisted the Patriot Act – almost like a last line of defense. To me they are knowledge warriors. But, libraries are just buildings, the people who run the joint – the librarians are what make it the tie that binds, the inclusive place to an oft-times exclusive world. I’m not going to let some internet trolls, even those who claimed to have been librarians steer me away from the belief that libraries are good and necessary. But, they sure gave some ammo for those who would board up the windows and lock the doors of our libraries. In the meantime, more power to Cassidy to continue his mission in capturing a community that is important to many other communities. Oh, and I’m going back to the “Do Not Read The Comments” rule I have. Because if you’re saying, Ur Doin It Rong, I’m likely going to know you are entirely ignorant. Well said – I especially liked your comment “an artist’s work is a conversation starter.” I fully believe that – and while I wish the conversation wasn’t so damn mean, there was some good conversation out there. And thank you for linking to me! I hope my words weren’t taken as anger – I had a knee jerk reaction at first (I’m blaming a bad day at work that put me in a very foul mood), but after time, good chats, and holding my tongue, I had a change of heart. My blog was an attempt to collect what I had seen/heard out there, make some sense of the source of what we all thought as many WTF MOMENTS, illustrate that I had my heart and mind changed, and offer some suggestions in the next iteration to make it even more awesome. I did get that you had expressed both what your knee-jerk and then fully-digested thoughts and response were. I’m all about people being human, and learning and growing, and…well, being human. I’m hoping that you can get involved further in Cassidy’s project. You have good stuff to add. You bet, lady. 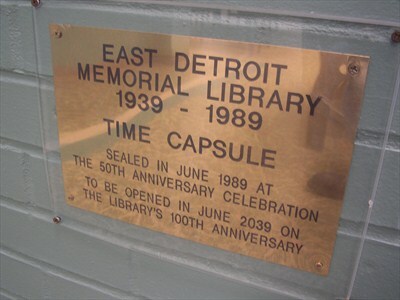 I also think that the librarians I grew up with and who protected me from the ugly in Detroit, might look more like you if they were living in today’s more progressive world. Yes, we have come a long way, and every time I look at your portrait, I think, Yeah, I could dig her as my librarian. I’m sorry people were so hurtful to you. That pisses me off still when I think about that. But, in the end, I think the haters just look like they need to pick up a book and read.